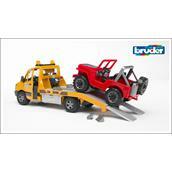 The stylish, modern design of the Mercedes Benz car transporter is immediately evident. 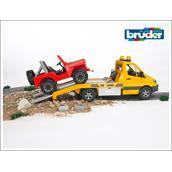 And the fascination doesn't fade when you take a closer look at the BRUDER model. 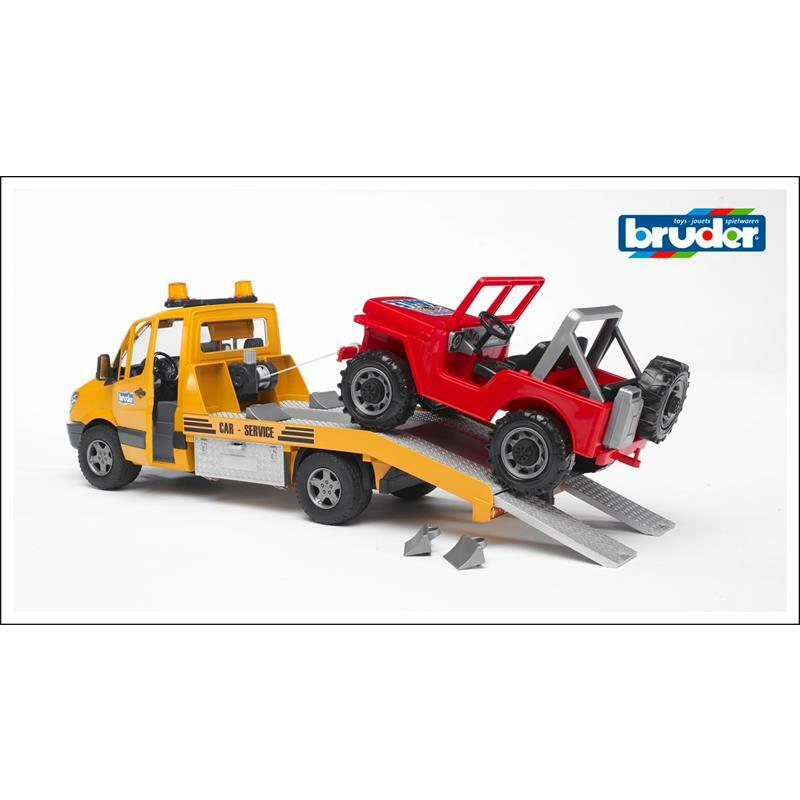 The car transporter has a platform that (as is customary at BRUDER) has been modelled on the original down to the finest detail. As well as the high-quality doors with interior lining and the Light and Sound Module, the cable winch – redeveloped for this vehicle – par-ticularly catches the eye. Using this cable winch, vehicles in difficulty can be freed from the most difficult of situations. The tool boxes attached to the sides store the wheel chocks, and the drive-on ramps can be pushed directly into the chassis.